JetBrains TeamCity is a user-friendly continuous integration (CI) server for professional developers and build engineers. It is trivial to setup and absolutely free for small teams. 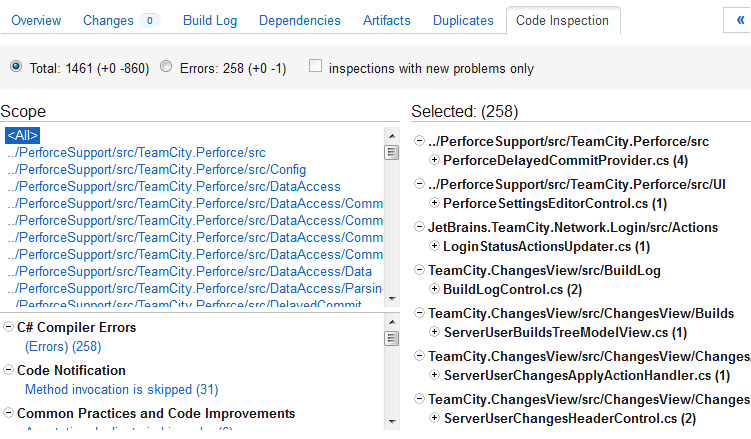 TeamCity helps you automate code analysis, compiling, and testing processes, providing instant feedback on build progress, problems and test failures, all in simple, intuitive web interface. 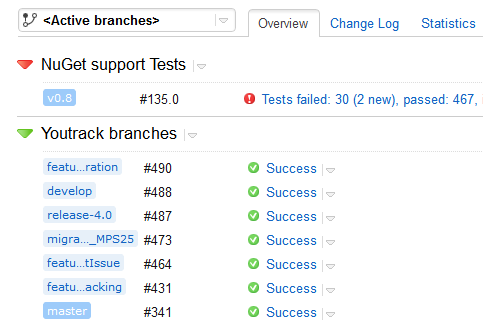 You can run multiple builds and tests under different configurations and platforms simultaneously, perform pre-tested commits, helping your team sustain an uninterrupted workflow. Once you have TeamCity, you will have build history insight with customizable statistics on build duration, success rate, code quality and custom metrics. Additionally, you can enable cost-effective on-demand build infrastructure scaling thanks to tight integration with Amazon EC2. Build and test any Visual Studio solution, as well as any other project that uses MSBuild or NAnt build scripts. Run ReSharper-style .NET code inspections on the server. Run unit tests under any of the .NET testing frameworks out of the box, including: NUnit, MSTest, MSpec, xUnit and all Gallio-based frameworks. Analyze code coverage using most popular coverage engines currently available for .NET: NCover, PartCover or JetBrains dotCover. 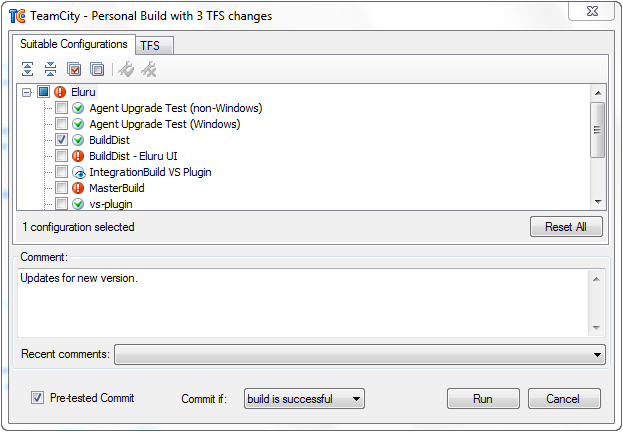 No need to modify your build scripts; just turn coverage on in TeamCity settings. Browse build results right in Visual Studio, taking advantage of navigation to source code, and code coverage highlighting if you use dotCover. Use ReSharper integration to navigate to source code of a test failed on a server, or re-run tests failed in a TeamCity build locally with ReSharper. Use TeamCity as NuGet feed server, and employ other package management capabilities provided by NuGet — right in TeamCity. TeamCity is one of the strongest tools for .NET developers from JetBrains, along with ReSharper for coding productivity, dotCover for code coverage, and dotTrace for performance and memory profiling. For more details on TeamCity, please visit TeamCity web site site or read TeamCity blog.